Mom's a rose! 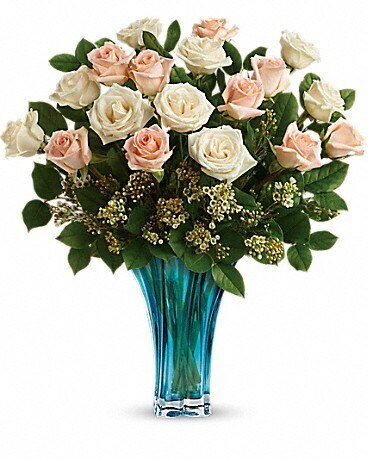 Spoil her on Mother's Day with this breathtaking bouquet of 12 roses, hand-arranged in a swirling keepsake vase of blown glass, in the most elegant shade of azure blue. Mom's a rose! 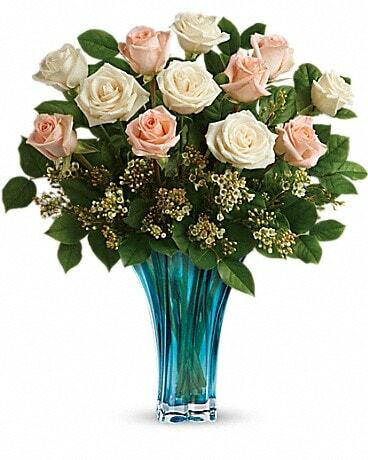 Spoil her on Mother's Day with this breathtaking bouquet of 18 roses, hand-arranged in a swirling keepsake vase of blown glass, in the most elegant shade of azure blue. Mom's a rose! 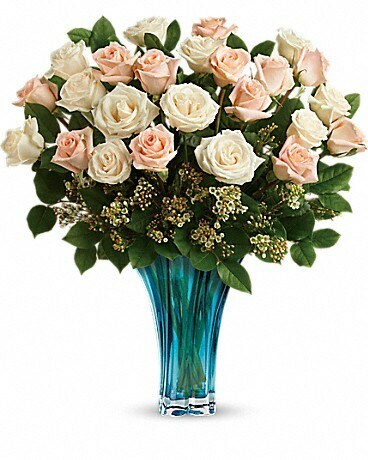 Spoil her on Mother's Day with this breathtaking bouquet of 24 roses, hand-arranged in a swirling keepsake vase of blown glass, in the most elegant shade of azure blue. 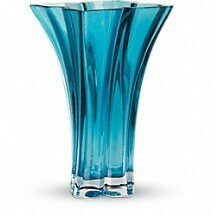 Available exclusively from Teleflora, this one-of-a-kind, elegant turquoise blue blown glass vase gloriously dazzles with graceful details! 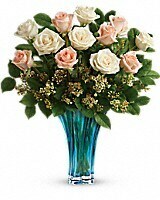 A true décor piece that will be enjoyed for years to come - this is the perfect gift for every Mom on Mother's Day, or any day!